“Words tell you what to think. Pictures tell you how to think.” Hmm. 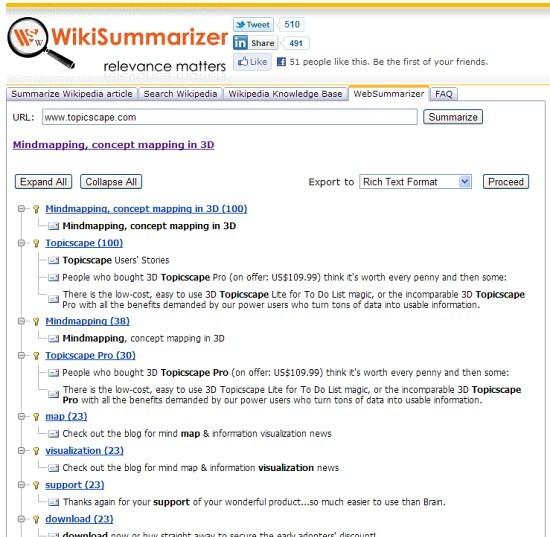 Not content with visually summarizing Wikipedia (see Herculean Task…), WikiSummarizer have added a new capability. Now you can apply Context Summarizer to any web page. This is a useful way of taking in a new web page, and now appears as a link at the front of my bookmark bar. Give it a try – it’s free.